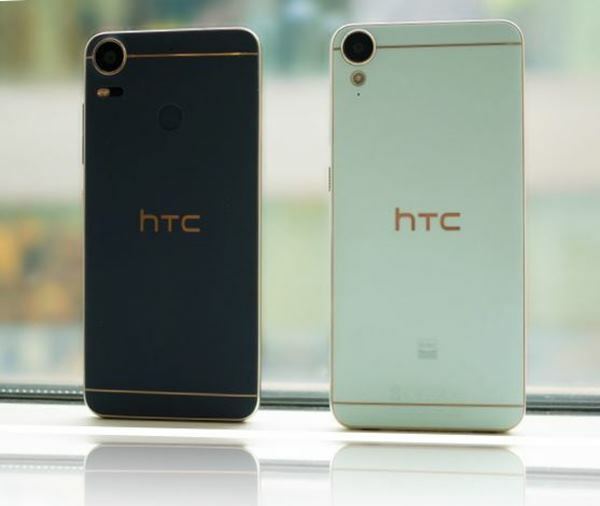 HTC has launched two new smartphone from Desire series, the all new HTC Desire 10 Lifestyle and Desire 10 Pro without confirming it’s pricing. Desire 10 Lifestyle will be available from Sept. 2016 priced approx. Rs 10,000 for 2GB RAM+32GB ROM, Approx. Rs 15,000 For 2GB RAM+64GB ROM while HTC Desire 10 Pro be available in November priced approx. Rs 25,000 for 3GB RAM+32GB ROM, Approx. Rs 35,000 For 4GB RAM+64GB ROM . Both smartphone will be available in Stone Black, Polar White, Royal Blue and Valentine Lux color option. The all new HTC Desire 10 Lifestyle is a Metal-clad smartphone supports Dual-SIM(4G+4G),Micro SIM, 4GLTE, NFC, Wi-fI, Bluetooth, USB come with a bigger 5.5-inch HD 2D glass display with resolution (720×1280 pixels), 263 pixels per inch and gorilla glass 4 protection. It’s powered by a powerful Quad-core Snapdragon 400 SoC clocked at 1.6GHz with 2GB/3GB RAM, 32GB/64GB ROM and 2TB MicroSD card slot offers you superior graphics and gaming experience, boosting 3D interfaces, colors and textures and run on Android 6.0 Marshmallow OS along with HTC Sense 8 on top which allows you to enjoy millions of apps from Google play store. For shooting it sporing a powerful 13-MP rear camera with f/2.2 aperture and dual-LED flash and BSI sensor perfect for low light shooting and 5-MP rear camera BSI sensor for video calling and selfies will powered by a powerful 2700mAh battery with sophisticated power management technology and Boomsound Hi-Fi Edition stereo speakers with 24-bit system audio. It measures 156.9×76.9×7.7mm and weight 155gm. While HTC Desire 10 Pro is a Metal-clad smartphone supports Finger print Scanner, Dual-SIM(4G+4G),Micro SIM, 4GLTE, NFC, Wi-fI, Bluetooth, USB come with a bigger 5.5-inch Full HD IPS LCD display with resolution (1080×1920 pixels), 400 pixels per inch and gorilla glass 4 protection. It’s powered by a powerful octa-core MediaTek Helio P10 clocked at 1.8GHz with 3GB/4GB RAM, 32GB/64GB ROM and 2TB MicroSD card slot offers you superior graphics and gaming experience, boosting 3D interfaces, colors and textures and run on Android 6.0 Marshmallow OS along with HTC Sense 8 on top which allows you to enjoy millions of apps from Google play store. For shooting it sporing a powerful 20-MP rear camera with f/2.2 aperture and dual-LED flash and BSI sensor perfect for low light shooting and 13-MP rear camera BSI sensor for video calling and selfies will powered by a powerful 3000mAh battery with sophisticated power management technology and Boomsound Hi-Fi Edition stereo speakers with 24-bit system audio promising battery life up to 19 hours . It measures 156.5x76x7.86mm and weight 165gm. At last few honest word, HTC Desire 10 Lifestyle and Desire 10 Pro is coming to won the hearts of gadget lovers. What you think? Please be open to give your view ans stay tuned for more updates.